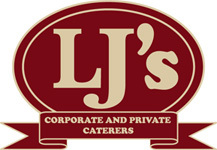 LJ's Corporate Caterers and Restaurant-full menu in Carlstadt, New Jersey. LJ's has had the pleasure of catering for numerous New Jersey businesses since 1985 and expanded our services to management of Corporate and School Cafeterias in 2001. LJ's is a family owned and operated business that strives to exceed the expectations of all its clients. We attribute our business growth to the many recommendations from our customers. We appreciate our customer's loyalty and vote of confidence as they recommend us for new opportunities. Everyday we are serving solutions for success...from outstanding food to remarkable service and customized menus with attention to details. Professionalism, courtesy and punctuality - all rank as high priority to provide superior service for you. Our service and food quality offer a distinctive upgrade from the local deli and caterer, while still keeping the cost affordable. Our office and commercial kitchen is located in Wallington. We also manage and operate many corporate and school cafeterias throughout North Jersey. LJ's friendly staff is available to personally take orders Monday thru Friday; however, voicemails and emails are always welcome and happily returned. Our email is checked frequently to provide the best service possible. We pride ourselves on customer service and quality, and are always available to answer a question or fill a last minute request. Breakfast and lunch deliveries are made between 8:00am and 3:00pm Monday thru Friday, however, special time requests can be filled with enough notice. We currently service North Jersey and Manhattan. Delivery charges vary on the location and will be confirmed at the time of your order. You are also more than welcome to pick up your order at our 3500 square foot commercial kitchen at 49 Wadsworth Street in Wallington. Our current menus as well as our monthly special are updated regularly on our website. We presently email our specials as well, and would be glad to add you to our mailing list. Thank you for taking interest in LJ's Catering! We would be honored to work with you and continue bringing outstanding service and food quality to the New Jersey and Manhattan areas. LJ's serves North Jersey and Manhattan. We are conveniently located near the Meadowlands Sports Complex. Call today to set up your corporate account or meet with us to specialize daily menus for your company.